This column was originally published in The Central Western Daily on Tuesday 18th January 2014. 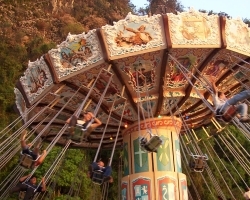 Bounty’s Revenge, known to Australia’s Wonderland staff as “360”, was a looping starship ride with a pirate ship shell. 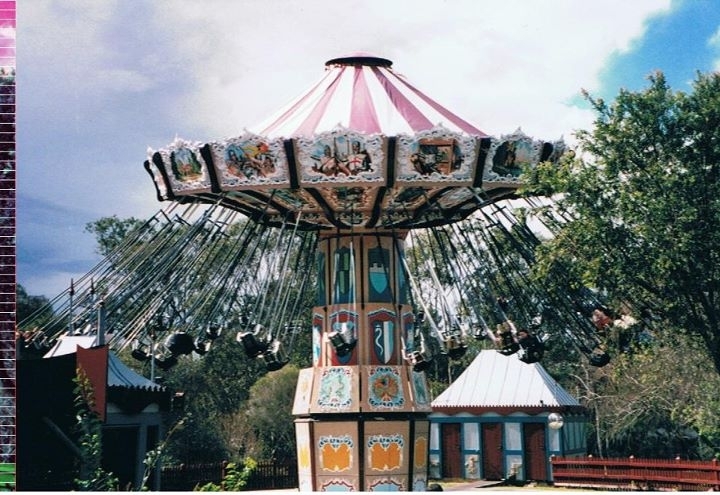 One of the original attractions when the park opened in 1985, it seated fifty passengers at the time, swinging backwards and forwards until it eventually went right over the top to a height of twenty four metres. It was also one of my favourite rides to work on because it required 3 staff. With the ride queue really close to the operator’s booth, plus the extra colleagues, it was great fun to operate if you liked to socialise and interact with the crowd, which I certainly did. Microphone in hand, I’d give my safety spiel every ride cycle and then begin my banter with the riders. One of my favourite things to do was tell the passengers that they would receive a free set of steak knives if they kept their hands up throughout the ride. Of course, I had absolutely no control over the ship whatsoever. Besides the lap bar controls, the start button and the big red emergency stop button, the ride operator had no influence on how long the ride went and how many revolutions it made. I was also certain that no-one believed a word I said, until I was called in to see my manager. Unable to control his laughter, he proceeded to give me a “serious” warning. It seems that a rider indeed visited the guest relations office to claim his complimentary steak knives and after a fairly lengthy period of confusion on behalf of the poor employee behind the counter, became quite irate when told he had been duped. I didn’t play that prank again, much. The problem with pirate ships that go upside down is that riders tend not to listen to warnings about loose objects. Fortunately, in the early nineties, no one really had mobile phones, so the staff would take shelter under canopies or umbrellas from frequent showers of coins, cigarette lighters, sunglasses and once, an SLR camera. At best, the object landed in the ride pit and would remain there until I called a maintenance crew member to fetch it, but usually it would stay where it landed for weeks until a scheduled clean out. At worst, it landed in the lake and was never seen again. Whoever got the job to drain the lake in 2004 when the park closed for good would have made a fortune in coins. My friend and former colleague Craig claims to have found $80 in change when rostered to clean the outskirts of the ride. Occasionally we would have a rider who was a little too, well, rotund for the seatbelt. The solution was pretty simple: seatbelt extensions. The tricky thing for staff was to retrieve these extensions when the ride cycle finished. Being almost identical to the standard seatbelts, they were pretty hard to find. Of course, when they plummeted from a height of twenty four metres and slammed into the platform, they were much easier to locate. The worst thing about Bounty’s Revenge was cleaning up after a guest was sick on the ride. Affectionately known as a “protein spill”, it was not possible to toss kitty litter over the mess and call park services to sweep it up. Instead, we’d throw soapy water over the seats, tell all of the guests to move under the queue canopy and run the ride. Not many attractions have their own spin dry cycle! Bounty’s Revenge is now known as Pirate’s Revenge and is located at the Sunway Lagoon theme park in Kuala Lumpur. This column was originally published in the Central Western Daily on Tuesday 5th April 2011. 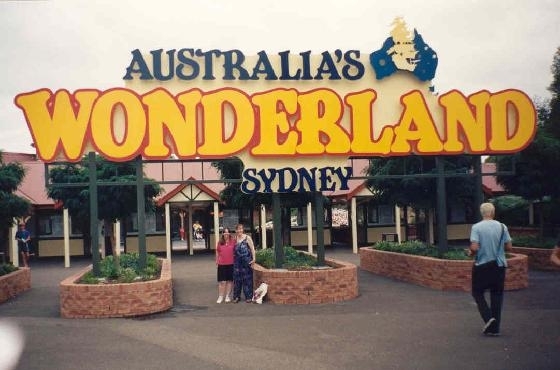 Last week I revisited some of the much missed theme parks from Sydney’s past. They now sit abandoned and unloved, occasionally being revived as a filming location or a Samsung factory. I also revealed that I formally worked at Australia’s Wonderland as a roller coaster operator and had nothing to do with its demise on Anzac Day 2004. Well there are still more long gone parks to dredge up and I also worked at two of them. And no, I wasn’t responsible for their untimely passing either. Magic Kingdom (mid 1970’s – early 1990’s) was located in Lansvale. To get there, you need to drive through an industrial and residential zone. Not so magic, eh? Some of the rides were sourced from Luna Park after it temporarily closed after the Ghost Train disaster in 1979. My favourite was the centrifuge ride that pinned you to the wall of the circular wall as it spun. I met a girl there in the eighties on the water slides. Her name was Candy and she was my girlfriend for at least an hour. I wonder where she is now. All that remains of Magic Kingdom are a giant shoe, the big slide and my broken twelve year old heart. The Mount Druitt Waterworks (1981 – late 1980’s) is now sadly a derelict Garden Centre. It was the centre of an urban legend during its heyday. The legend goes that some naughty westies were placing razor blades in the joins on the waterslides. The flaw in the story is that the joins in the slides run perpendicular to the direction of the water so it would have been pretty difficult to lacerate anyone. A smooth bottom shave was more likely. 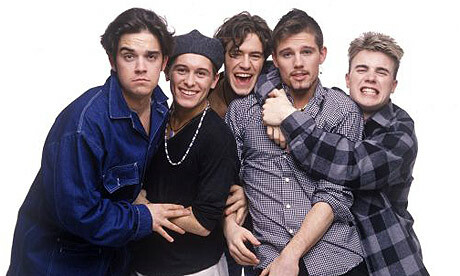 I remember putting Freedom by Wham! on the jukebox there four times in a row. I’m surprised I wasn’t kicked out for that. There is still a Waterworks in operation in Manly. It was featured in the 1983 movie BMX Bandits where a stuntman in a red curly wig pretending to be Nicole Kidman escaped from the bad guys by riding the slide, bike and all. El Caballo Blanco (early 1980’s to early 1990’s) means boring horse shows in Spanish. Located in Catherine Field, the park featured Andalusian dancing stallions, a miniature railroad, water slides and a horsedrawn Omnibus. I went there on a primary school excursion and fell off a wooden fence. I still have the scar on my chin. So now for my final two. I have skipped Australian Pioneer Village (1970-1991) at Wilberforce and the Smokey Dawson Range (early 1970’s – mid 1980’s) at Ingleside. Both were similar to Old Sydney Town in terms of theme and neither featured any rides. The Fox Studios Backlot park (1998 – 2001) was a blink and you’ll miss it attraction so I won’t give it anymore than this mention. Intencity (1995 – present) were originally planned as mini theme parks to be located within Westfield stores. 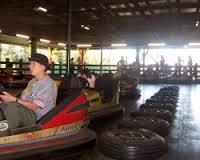 I worked briefly at the Parramatta location which featured video games and several high tech rides, including a fantastic centrifuge style attraction which spun cabins around to create real G forces on riders as they played a video game inside. Unfortunately, the rides didn’t last long as the owners discovered that people surprisingly only wanted to shop in shopping malls. Intencity still exist in several malls but as video game arcades only. Sega World Sydney (1997 – 2000) was located in a purpose built blue cone topped building in Darling Harbour. Planned to be a major attraction for the Sydney Olympics, the park featured an indoor roller coaster (Rail Chase), a shoot ‘em up ghost train (Ghost Hunters) and a 3D motion simulator (Aqua Nova). I worked there as a manager in the Rides Department during my final two years of university. I loved it. Who wouldn’t want to polish the dodgem tanks and clean roller coaster brakes every night after close? I also got to play Sonic the Hedgehog at all of the home games for the Sydney Kings at the nearly Entertainment Centre. I miss my Sonic costume but I certainly don’t miss how it smelled. Unfortunately, locals and tourists did not want to visit an expensive indoor theme park when they could explore the outdoor attractions of Sydney instead and following several overhauls of the ticketing and pricing structures of the park, poor old Sonic was put out of his misery. About a year before it closed, I was offered a full time job there. Luckily I turned it down. Sydney has a rich and varied history of amusement parks. It is sad that the population of Sydney is not really big enough to sustain more than just Luna Park. I suppose also that the majority of tourists coming here are from countries with bigger and better theme parks. 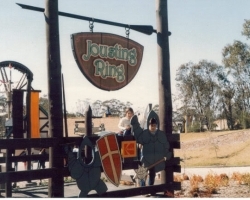 For many people my age and older who grew up around Sydney, these theme parks were an important part of our young years and even though they generally weren’t much chop, as a kid, they were as good as Disneyland. This column was originally published in the Central Western Daily on Tuesday 29th March 2011. Growing up in the eighties, there seemed to be a plethora of “amusement parks” in and around Sydney, which in my head at the time, were the most exciting places ever. Nowadays, only Luna Park survives, albeit without a Big Dipper. Way back then, Sydneysiders were certainly spoilt with choice, although it could be argued, not quality. If watching actors being placed in stockades and flogged was your idea of fun, Old Sydney Town (1975-2003) was the place for you. Without any rides, the park was a living outdoor museum where visitors explored the “authentic” building recreations which were populated with actors portraying the townsfolk of Sydney circa 1803. Despite an impressive recreation of Sydney Harbour, it was difficult to get over the bad acting, Coke machines, payphones and the fact that Old Sydney Town was actually just outside Gosford. The park is now available for hire as a location for film and television. Some of the best days of my life so far were spent as a roller coaster operator at Australia’s Wonderland (1985-2004). The biggest park in the Southern Hemisphere at the time, Wonderland was home to the Bush Beast and Demon roller coasters, Space Probe 7, The Beach water park and Hanna-Barbera Land. My favourite memories of working there are helping to search for a crocodile that escaped from the wildlife park next door (we found it in the lake next to the Pirate Ship) and keeping my roller coaster open late so Robbie Williams and Take That could have a ride after their concert in the park earlier that evening. I should have grabbed an autograph. Sadly, Wonderland is now the Samsung warehouse beside the M4 and every night I watch my LCD TV, I think fondly of my days pressing buttons, checking seatbelts and cleaning up spew. The Bullen family ran circuses in the seventies and eighties. They also operated three theme parks in what was then the outskirts of the outskirts of Sydney. Paradise Gardens (late sixties-mid eighties?) featured a boat ride which allowed visitors to see the many concrete dinosaurs dotted around a lake. There was also a black tubular water slide that dumped riders into a muddy dam. Sadly, Paradise Gardens is now Riverside Oaks golf course at Cattai. I’m unsure if the dinosaurs are counted as a water hazard. Bullen’s Animal World (1969-1985) was located in Wallacia and its main attractions were a circus and a drive through animal petting zoo. That’s right, you drove around with your windows down feeding the wildlife. Of course, the hungry animals weren’t scared of people or cars and the screams of joy from children was often replaced with screams of terror as donkeys stuck their heads through windows snapping at anything resembling a carrot and slobbering everywhere. African Lion Safari (1968-1991) also adopted the same drive through approach, however, this time with the windows very much up. Why go to Kenya when you can see the most bored giant cats in the Southern Hemisphere? As a child I remember going there with my parents and one of the lions bit off the bumper bar of our Valiant. When we sent a Ranger to retrieve it, he brought back a dozen, all stolen that day. The park also provided the local community with a disposal service for their unwanted livestock. Apparently classified ads for the free removal of sick or injured cows and horses ran frequently in the local papers. I’m really enjoying my little stroll, or drive through with the windows up, of abandoned theme park lane so for the first time ever, I’m going to continue with more defunct attractions next time, including another two that I worked for that have also closed. I’m pretty sure it wasn’t my fault.